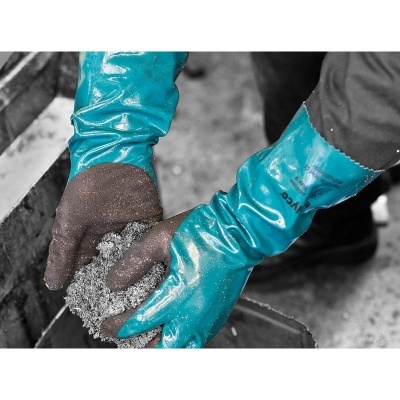 Finding gloves that are resistant to chemicals and oil while also remaining highly comfortable is no easy feat. The Polyco Grip It C1 GIOG1 Oil Gauntlet Gloves combines these elements to provide you with highly effective gloves. 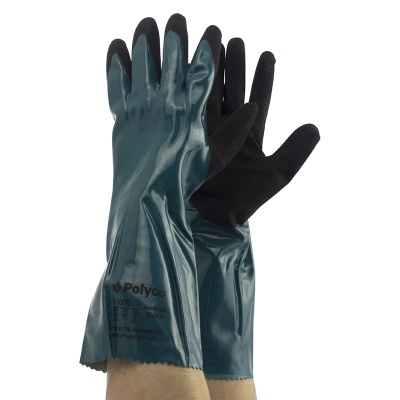 Designed with dual layers of nitrile, you're able to maintain a sturdy grip on objects even when you're working in oily environments. 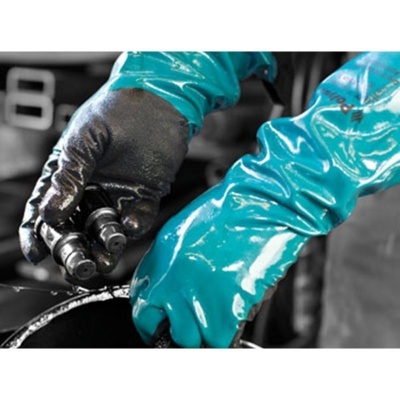 The Grip It C1 GIOG1 Gloves are available in four sizes to provide you with a more comfortable fit. Please measure the circumference of your hand around the knuckles (excluding the thumb) with your hand open and your fingers together. You should then measure the length of your hand from the tip of your middle finger to your wrist.